What would happen if you shaved without shaving cream? You’d feel irritated and have a hard time with getting all that hair on your blade. Shaving cream is important as it lubricates your skin and protects it from the friction produced by a blade. You can also use cream to track how well you are shaving so that you don’t miss a spot. Not all shaving cream products are alike though. You can choose from many options when finding the best shaving cream for men. This review covers some of the best choices that you can utilize for your shaving requirements. Each choice is comfortable and easy to use, but they all operate a little differently from one another. 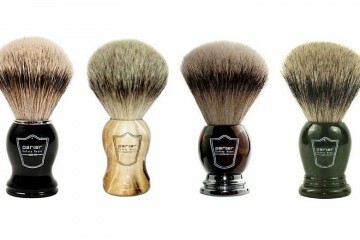 The Art of Shaving offers an assortment of shaving creams. The company’s objective is to produce herbal and organic creams like this one. The popular essential oil sandalwood is incorporated in this cream product. Sandalwood produces a woody scent that features a deep scent that lasts for a while. The surface adds a refreshing feel that provides a sense of warmth as you are shaving. You can apply the sandalwood shaving cream by using warm water and lathering up a small bit of shaving cream. You can use your fingers or a brush to make it work. After this, you can apply the cream around your face. The material softens the skin and lifts the beard hair up. This keeps the skin from feeling irritated while also preventing possible razor burn from developing. Also, your skin will remain moisturized after you are done shaving. The cream can be used following a hot shower. You also have the option to use this while you are in the shower to add an extra warming effect to the face while you are shaving. I was impressed with how well the shaving cream lathers up in a moment. I can add my brush to the container and get a lather prepared without scooping up far too much cream. The foamy surface is easy to spread around my face without being hard to apply or to spread around spaces on my face. My shaving razor moved well along my face as I used the sandalwood cream. The cream applies evenly around every part of my face. My hair responded well to the cream; it stood up and was a little softer as it picked up the cream. My shaving blade also moved right through the hair after I applied the cream. There were far too many unusual ingredients listed on the package. This is unusual since The Art of Shaving is known for offering organic products. The classy style that Taylor of Old Bond Street introduces in this shaving cream makes it a distinct choice. The flashy black case is attractive, but the product inside makes a greater difference for your shave than you could ever imagine. A distinct scent is produced to offer a unique sensation. This scent is designed like a fine fragrance with several comfortable tones. The texture also gives you a comfortable feeling that works well if your skin often struggles with dryness. You will find several fragrance notes in this Taylor of Old Bond Street cream. The cream offers scents of bergamot and lime at the start. A floral lavender scent appears next. Patchouli produces a firm and warming base with a masculine scent. The scent is gentle and does not overwhelm. The sensation lasts for hours after applied. You do not require too much material when shaving. You only need a nickel-sized amount of the cream applied to your skin. The product is activated by water, thus allowing it to spread along your face. The cream works best with warm water. I often have a tough time with perfumes, so I was suspicious over the fragrances on this shaving cream. It turns out that the scents are gentle on my skin and don’t irritate my senses. I like how the scent gives me a warm feeling without being distracted. I like how the cream produces an even texture. The design is smooth and lathers up in moments. This is important for when I’m trying to get a good shave ready in little time. I like how the container here offers a resealable lid. The lid looks classy, but it is also function as that container keeps the rest of the cream protected from water splashes while in the bathroom. It is hard to use a brush when lathering the cream. It is better to use this with your finger. It is not like you need lots of cream when using this anyway. 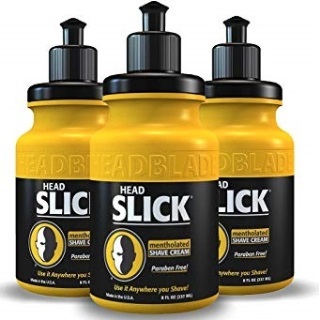 HeadBlade makes this next shave cream to provide you with a smooth surface for shaving both your face and the top part of your head. The lubricating qualities on the shave cream provide you with a firm coating around your body for your shaving task. HeadSlick is mentholated to produce a cooling sensation as you apply it around your skin. You will feel cool and refreshed as you apply the cream all around. The menthol texture keeps your skin cool to prevent irritation or wear as you use it when shaving. Also, the cream applies smoothly along your head. The cream is also paraben-free. Parabens are preservatives that are controversial for producing adverse skin reactions on some people and may disrupt cellular production in areas the material is applied on. By avoiding parabens, you are keeping your skin safe. Besides, a paraben-free cream often applies better. HeadBlade also provides this in eight-ounce bottles. This is much larger in size than most other containers. HeadBlade offers this size because the company knows that many men need to shave their heads alongside their facial features. The bottle has enough content to take care of both of these needs. The best part of this cream is that it offers a smooth texture that goes well along the skin. I love how I can apply the cream everywhere without the surface slipping or spilling around other spots. The cream does not drip much as I use it around my skin. The menthol sensation produced here is calm on my skin. It gives me a better feeling when shaving, and yet it does not produce irritation when I use it. I like that I don’t have to use lots of cream at once. It is frustrating for me to use some creams because of how thick and difficult they are. This cream doesn’t produce too much gunk while I am shaving. This works best with HeadBlade razors, but those are very hard to find. These might also be tougher to control than other razors due to the unusual shapes those razors offer. 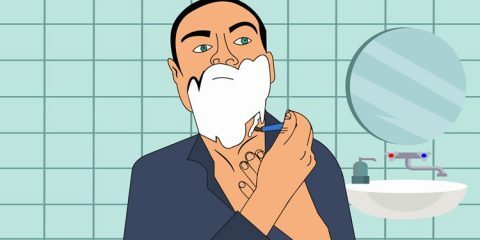 Nicks and cuts are annoying issues that people often come across when shaving. 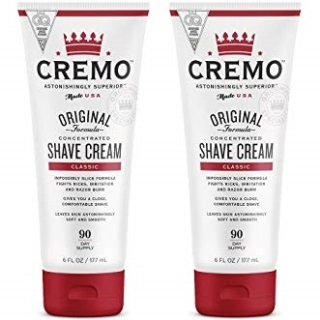 Cremo Original offers a concentrated shaving cream gel that provides you with a thin yet comfortable surface that protects your skin. The Cremo Original cream comes in a gel tube and produces a silky surface as you apply it. You will produce a great deal of lather without having to use more cream. The tube can last for about 90 days when you use it during a regular shaving schedule based on the proper amount for use. The material is also very slick as it is mixed with water. The cream adheres itself well to the skin while being easy to spread. In fact, you can use the cream with any type of blade you have. The cream can work with multi-blade razors, disposable razors, and even straight razors. The most important part of the cream will not cause any nicks or cuts. Also, the cream significantly reduces the amount of friction your blade would produce as you shave. The cream works for every type of shaving blade, including straight razors. The gentle citrus scent was my favorite part of this cream. The gentle sensation adds a nice touch. The cream also moves along my skin in moments to produce a more comfortable lather. My favorite part of the cream adds a good tone that is not going to slip around much. I tried this with various types of blades, and I found it was not hard for me to get it to work. I can apply the cream on my skin and get an even cut every time I use it. I do not have to struggle with getting the cream ready on my skin when I apply it evenly and carefully enough. The container has to be handled cautiously. There is a possibility that you will squirt out more of the cream than necessary. Only a small almond-sized amount is good enough. 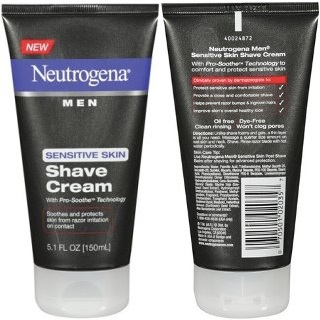 Neutrogena makes this concentrated shaving cream specifically for those who have sensitive skin issues. This is ideal for those who experience dry skin-related issues or those who struggle with hair tugging and pulling even after you apply an ordinary shaving foam to the face. Macadamia seed oil and shea butter are included as hydrating ingredients. These allow the cream to secure itself to the skin after you lather it up on a wet surface. Myrrh extract conditions the skin, while ceramides seal in the moisture while shaving. The comforting scent creates a firm surface for the skin as you apply a razor on the surface. The skin will not become irritated or feel sore from the shaving motion. You will prevent razor bumps and ingrown hairs from developing. The cream moisturizes your facial skin and prevents irritation. A white floral scent is produced with some orchid tones. The light scent brings back memories of a beautiful spring morning. This adds an invigorating feeling that especially feels great in the morning hours as you start your day. The shaving cream works with all types of razor heads. No matter what type I use or how many blades I utilize at a time, the cream will produce a comfortable surface for shaving. 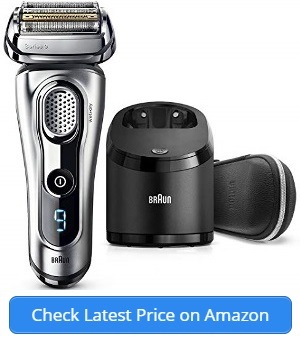 I especially like how this works on thicker bits of facial hair and yet will not produce any cuts. The cream moistens the hair well enough to produce a firm cut. You can control the tube that the cream comes in with ease. The tube takes a bit to dispense the cream. I appreciate this as I can ensure I won’t use more of the cream than necessary. I only need a small amount of cream to fit on my fingertip to get this working for all parts of my face. The scent is nice, but it feels like the scent doesn’t last for too long. The scent fades away quickly after you are done shaving and you wash the cream off. 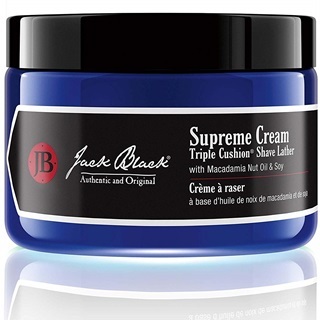 The Jack Black Supreme Cream shaving compound uses a mix of comfortable ingredients for a cooling and soothing sensation. 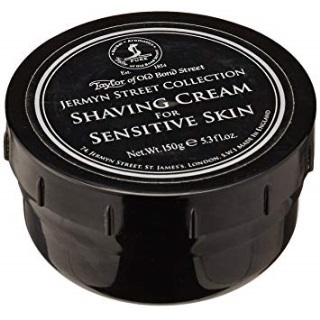 The protection the cream adds to your face makes this an indispensable solution for your shaving needs. This choice for the best mens shaving cream uses macadamia nut oil to produce a gentle scent while penetrating within the skin’s surface to keep it hydrated. The small oil molecules can move through the deepest pores around the skin. Soybean oil is added to provide a soothing sensation while keeping the skin moist. Jojoba oil also works as a lubricant. The cream does well with lifting the hairs up so they can be shaved. The smooth feeling you will get from this shave makes it a worthwhile choice among the top shaving cream for men options. The product does not include any synthetic ingredients, nor does it have parabens. The surface is safe on your skin and will not cause any inflammation or other effects. The risk of developing nicks or cuts while using the cream for your shaving needs is also minimal. I like how the scent adds a gentle sensation without being hard on my skin. The oils are not all that bothersome either. They come in when I am shaving and leave not long after. The scent adds a nice tone that keeps the shaving experience enjoyable and easy to complete all around. The lather on this one takes a bit of time to prepare, but the end result will be worth it. You will feel a smooth sensation on your face as you get the lather applied all around the space. Also, I did not feel a tingling sensation when I used the cream. My facial hair becomes soft as the cream goes through. The cream is often slippery and hard to lather. This is an issue I came across when I used it on my fingers and again with a thick shaving brush. Burt’s Bees has been a popular name for how the company makes personal care products exclusively with organic ingredients. 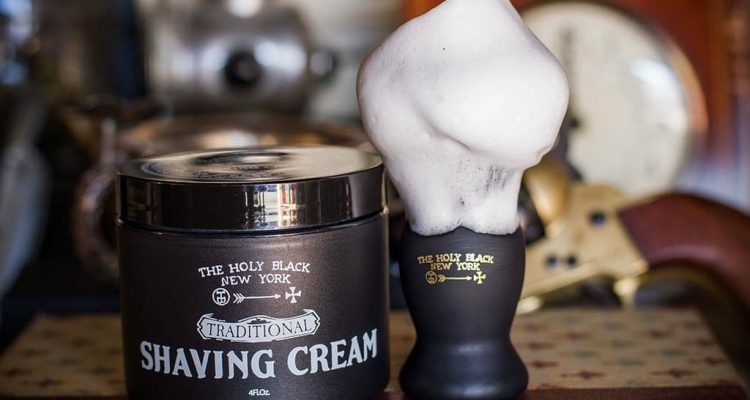 The company has expanded to include shaving products, including this popular shaving cream for men. The shaving cream incorporates sunflower seed oil and coconut oil to produce a relaxing sensation along your face. The gentle texture adds a nice touch for your use. Chamomile and calendula extracts add a moisturizing effect to keep your skin smooth. The design keeps your skin comfortable while preventing nicks and cuts from developing when shaving. The extracts produce a gentle fragrance that adds a relaxing surface for your convenience. The cream produces a slight cushioning surface. The cushion adds a soft surface for shaving that allows the blade to glide along in moments. This creates a comfortable surface all the way through. 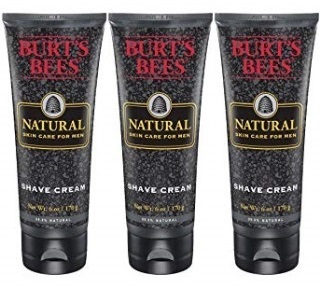 This product may be used with other Burt’s Bees shaving items, including the company’s aftershave. Burt’s Bees takes pride in how the company only uses organic compounds in its products to keep the user’s skin feeling smooth and comfortable every time it is used. I was impressed with how well the cream works. I can get it added on my face to provide me with an even amount of coverage every time I shave. I like this feature because it ensures I can get a clean shave every time I use this product. I don’t feel lots of friction from my blade when I used the cream. I also like the nice scent that this produces. I can get the cream added without feeling bothered. A slightly sweet tone is included, although the chamomile adds a relaxing feeling that helps me with my shaving effort by keeping me focused. The scent washes off right after I am done shaving too. The process of applying the cream to my face was tough to figure out. I was not fully certain over how much I should add each time. I don’t want to waste too much of this item. Sometimes you might need a simple type of shave cream for your general shaving needs. This Vanicream shave cream product should fit in well for your shaving requirements. The cream is produced without dyes, fragrances, lanolin, formaldehyde, and other preservatives. The ingredients are pure and provide a firm clean on every face. 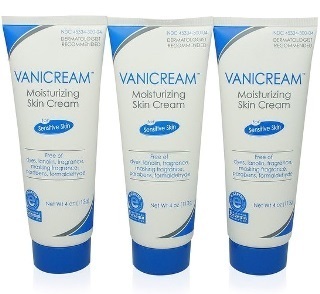 The Vanicream shave cream product is designed for those with sensitive skin. A slight aloe scent may be noticed as you add this along your skin for a full amount of coverage. This is a non-lathering formula, which means you need to apply evenly and carefully around the skin. Fortunately, the material moves well along the skin without dripping. The extra coating gives you more control over how well you can shave. By using this, you are avoiding problems relating to irritation and other commonplace shaving issues. You can control the amount you wish to use, although you only need a minimal total to make this work on your face. A nickel-sized amount should be good enough in most cases. This is a simple product when compared with the other choices for the shaving cream for men out there. But that simplicity may work well, as it is easy to apply the cream on the face. I like how I can add the cream in moments while allowing the spread to move evenly. Also, the added protection ensures that I will stay comfortable with a good shave. I can even use this with any type of shaving blade that I want to incorporate into the process. The aloe scent is relaxing as well. I like how this provides me with a gentle approach on my skin every time I use it. I was not a fan of the cream’s general texture. It feels somewhat lumpy when I start using it. This deserves to be a little cooler and easier on the fingers. The Australian company Vikings Blade makes this next choice for your consideration. 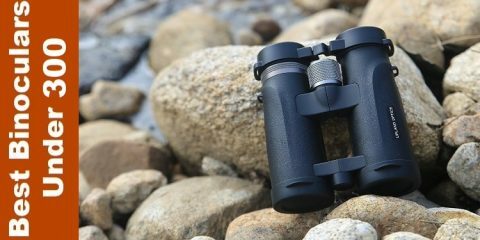 The product is heavily inspired by Swedish engineering with precise standards in mind. 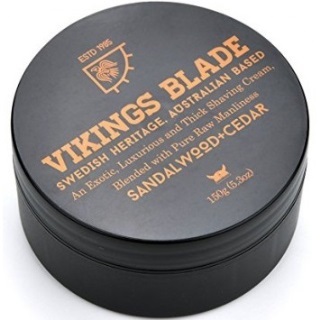 Specifically, the Vikings Blade cream products a firm body that stays on the skin. The cream is intended mainly for those who have sensitive skin and need extra assistance with their shaving efforts. The non-lather foaming cream requires you to add in a shaving bowl or cup and then foam up with a brush. The whipped foam will evaporate and produce a firm protective layer over your skin. The added layer keeps your skin comfortable with each stroke. The foam is thick enough to where you can apply only a small amount and it will still cover the entire face. A mix of sandalwood and cedar notes can be found on this cream. Natural oils are used without any artificial dyes or parabens included. Best of all, the layer that you apply gives you a comfortable surface for keeping the shaving process simple and controlled without being hard to use. You can especially use this with a straight razor. My favorite part of this Vikings Blade shaving cream is that it has a firm scent that adds a sense of luxury. I love how the scent produces a calm sensation on my skin while adding a distinct feeling all the way through. The process for getting the foam ready is very easy to follow. I did not require much effort in getting the foam prepared for my use. I can use a shaving bowl if needed, although I could get just as much of a foam ready without it. The foam also applies well along the skin without dripping off. I found I can get the foam added in moments to produce a fuller feeling all the way through. This shaving cream does not work as well with some of the more complicated multi-blade razors out there. A straight razor is strongly recommended for when you want to use this one. 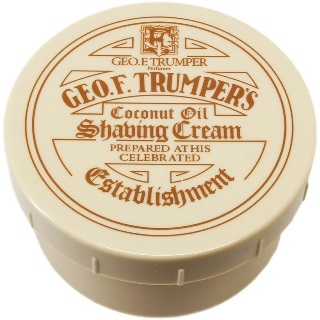 The last choice to find among the shaving cream for men products is this Geo F. Trumper cream from England. The cream gives off a classy appeal. The cream is a glycerine-based compound that applies evenly along the skin to produce a soft texture. This keeps the skin relaxed while also allowing the cream to move evenly along the face. Glycerine is popular for being an organic moisturizer that works on even the roughest or driest skin spots. The coconut oil scent is relaxing and offers a cooling feeling. The oil also does well with penetrating your facial skin to keep it soft and flexible while shaving. The cream comes with a naturally soft texture. This applies evenly along the face and does not feel rough on your hands. Don’t forget that you only need a small dab for this to work. The heavily concentrated ingredients lather up well enough to keep you from using far too much at a time as you need it. I like how easy it is for me to get the cream applied. I noticed the coconut oil scent not long after I opened the container as well. The design and scent added a gentle feeling that I enjoyed using. Also, the foam did not drip a lot, nor did I need too much of it to get a good lather ready. I can get this prepared in a shaving bowl or with my hands as desired. I get the same results with both options. The cream does not drip off of my face after I apply it. The compound stays on even after I complete a few shaving strokes. I can rest assured the cream will keep my face relaxed. It takes a bit for the coconut oil scent to die down. The scent seems to carry through the entire room, which isn’t something the missus likes all that much. The scent produced by a shaving cream should be relaxing and easy on your skin. The sensations should be calming while giving you a warm or cool feeling depending on what the scent is made with. Any scent that lasts for an extra bit of time is always welcome. Be sure the scent is not too overwhelming though or else you might be far too distracted when shaving. The shaving cream needs to be very easy for you to prepare. The cream should be activated by water, preferably warm water. The cream will expand as the water gets on the surface. The cream should be applied evenly along your skin after this. You don’t have to use an overly bulky or thick application of cream to make this work. A shaving cream that works on any kind of razor is important to have. You need to ensure the razor can move evenly along your skin while shaving. Most creams work best with a straight razor, although a detailed four or five-blade disposable razor head may be incorporated in your shaving task if desired. Be sure to clean your razor regularly while shaving too. Review how well the shaving cream can adhere itself to your skin. The cream should be affixed well on the skin without it dripping off of your skin after you apply it. This point is important for when you are shaving, as the tracks of your shaving movements will remain visible. The cream will not drip into the sink while you are trying to make it work for your shaving goals. Your shaving cream should include naturally-occurring ingredients. These include natural moisturizers, herbal oils, and other hydrating features that soften your facial hair and skin. Be aware of parabens and fragrances, as those are artificial compounds that may harm your skin. Some parabens may trigger the development of unhealthy bacteria on your skin. What Variety Are You Using? Review the type of shaving cream you are using when finding a quality model. A shaving cream can come with a soft or firm texture. Some gel-based compounds may produce a better lather. You can also find lather-free creams that produce a slick space for your razor. Such creams are traditionally organic compounds. Soak your shaving brush with warm water. The brush is optional but recommended. Apply warm water to your face. The water helps you soften your skin so the shaving cream can apply itself on the surface. Remove the excess moisture from the brush. Allow some of the water on your face to drip off too. Add shaving cream on the brush. You only need a small amount depending on what you are using. Whip the brush up in a shaving mug if desired. Apply the cream to the base of the mug and then use the brush to whip up the material to produce a firm lather. Use a circular motion to apply the cream on your face. Apply it as evenly as possible. You should be ready to shave at this point. A quick note: You also have the option to apply the shaving cream with your fingers. This would require a bit of extra physical effort, especially if you have a lather-free cream to work with. 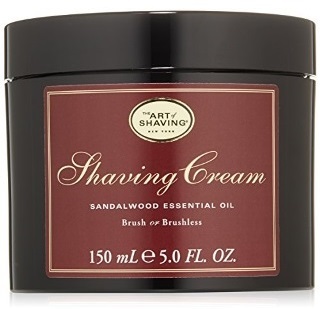 My choice for the best shaving cream for men is the Art of Shaving Cream Sandalwood. I enjoy how this cream comes with a gentle scent while being easy to apply. The smooth surface I get off of the cream is important for helping me move a straight razor along for my shaving needs. You should see how all of these shaving cream options can work for your personal care demands. Shaving cream is a necessity for keeping your face looking clean. Don’t ever skip on the shaving cream when getting ready for your next shave or else you could experience irritation and discomfort. 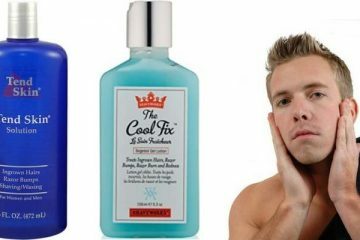 Best Aftershave for Sensitive Skin: Smart Choices You Can Make Today!